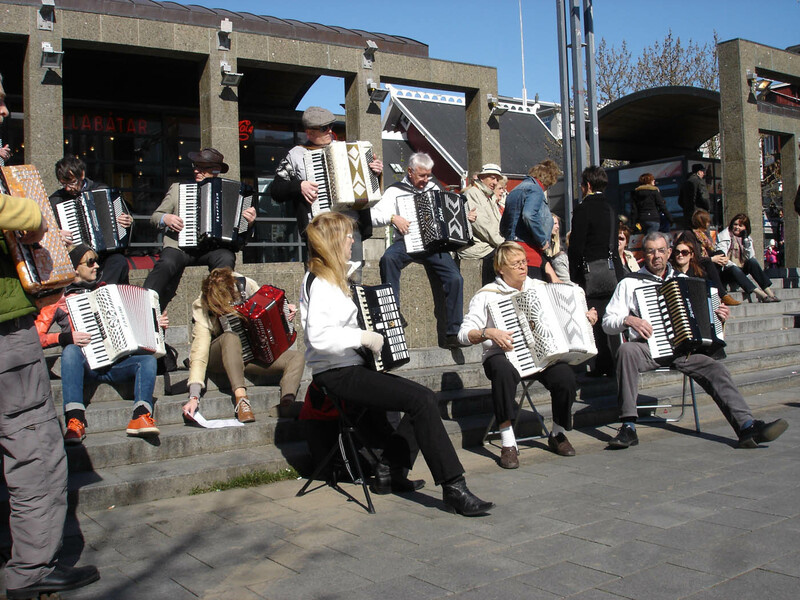 Accordion day was celebrated all over in Iceland 5th of May with concerts in many public places all over the country. This was a perfect opportunity to cycle downtown and record a “squeeze box concert”. The concert was held in an open place at Hallærisplan (Ingólfstorg) in Reykjavik center and the players were members of the Reykjavik Accordion Club. In background, mostly on right side, are some bang and rumble noise from skate boards and motorcycles. This recording was made with “binaural microphones” and Primo EM172 capsules. There were rather much wind which sometimes disturbed the recording. So -20db was enabled at 20hz in post. Best to listen with headphones. Um allt land virðist sem þann 5. maí 2012 hafi „harmonikudagur“ verið haldinn með pomp og prakt. 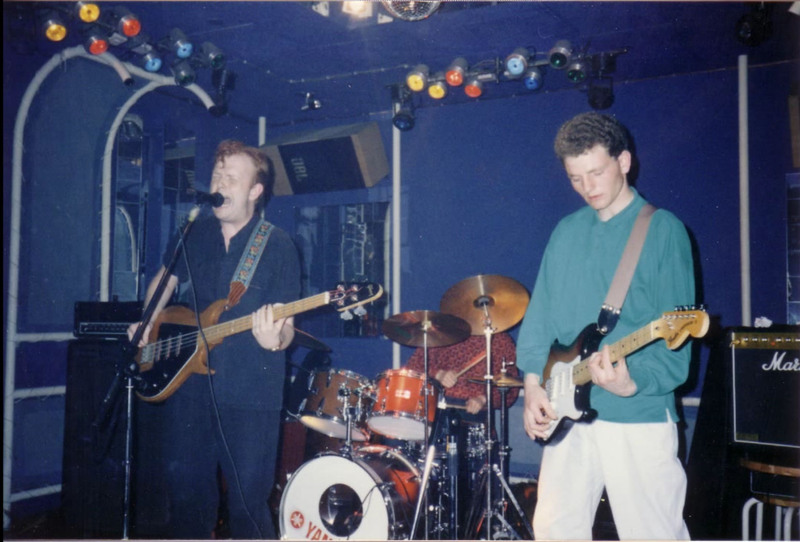 Það kom ekki skýrt fram á heimasíðu harmonikufélaganna en um það mátti lesa á ýmsum öðrum blogg- og vefsíðum. Þennan dag var þó auglýst harmonikuball á Hallærisplaninu í Ríkisútvarpinu. Það var því kjörið að bruna þangað á reiðhjólinu með upptökutæki og heimatilbúna “Binaural” hljóðnema. Það er því best að hlusta á upptökuna í góðum heyrnartólum.